There’s something exciting about an auction. 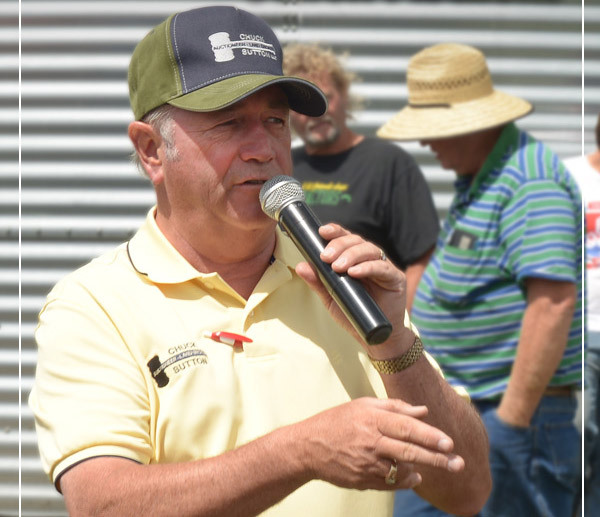 It may be the prospect of buying an acreage on which to build a dream, the thrill of the competition, the art of the bid or something as simple as the charm and skill of a fast-talking auctioneer. For more than 80 years, the Sutton family has helped bring sellers and buyers together in the auction marketplace. It’s in their blood. Chuck’s training began in Flandreau, South Dakota under the watchful eyes of his grandfather Anton Kuhle and long-time mentor Vernell Johnson. He sold his first item at an auction at age nine and continued to learn the finer points of the auction business throughout his school years. It’s no surprise that after graduating from college in 1979, he followed in the footsteps of his elders pursuing auctioneering and real estate as his profession joining his grandfather, Anton Kuhle and his father, Duane “Bud” Sutton at Kuhle-Sutton Agency in Flandreau, SD. In 1991 Chuck expanded to a 2nd location in Sioux Falls, South Dakota formerly operated by longtime associate Vernell Johnson and in 2012 expanded to a third location known as Pipestone Realty, LLC in Pipestone, Minnesota. In 2016, upon graduation at Dakota State University, Jared Sutton joined the firm as an Auctioneer & Real Estate Broker Associate. For more about Sutton Auctioneer & Land Broker services and to see upcoming sales vist www.suttonauction.com.